Welcome to the ADK community @[member='Bloodylane'], enjoy your stay. Hi, @[member='Bester7544'], welcome to the ADK community ! *breathes heavily* Hello, I'm Mellie. Welcome to ADK @[member='Mellie'], you sound like a fun person. Welcome to the ADK community @[member='absthatsme']. If you've been a long for that long, you might as well join us right :) Glad you did. Mellie singing to me... HI? Welcome to the ADK community @[member='Tripla'] enjoy your stay and don't be a stranger. It's nice to see people around with a positive mind set. Hello @[member='chochingo'], welcome to the ADK community ! Welcome to the ADK community @[member='MrMcaustin1']. Welcome to the ADK community @[member='Ic3d_PR0f3cy'] ! Hop on to teamspeak some time. 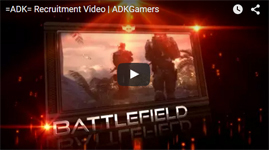 Welcome to the ADK community, so ... what likes do you game? I'm not the real Batman... sorry.